The Issue for Music Creators. As an example of the enormous decline in music creator earnings, a million-selling vinyl record or CD used to pay around $45,000 to the songwriter(s). Today, the same number of streams pays around about $35.00 – in reality very close to 100% less. In many cases these earnings are so small, it’s not uncommon to see them rounded down to zero by intermediaries. We love technology and we love that our music can reach more people, and in more places than ever before. But no landlord will accept “kudos” as rent and no grocery store takes “exposure” as payment. While a very tiny percentage of us can look to stadium gigs, t-shirt sales or endorsement deals to make up the enormous deficit, for the vast majority of music creators, our livelihood simply depends on being fairly paid for the use of our work – and that must include digital uses such as streaming. 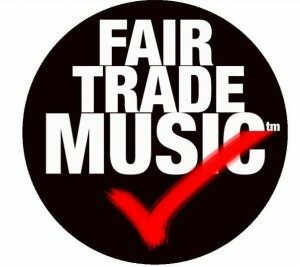 Copyright Fair trade music international.